I used a base coat of Duri Rejuvacote, 2 coats of polish and finished with Glisten & Glow top coat. I was happy to see that this polish didn't need a white base to be opaque or to be neon. This polish was perfect all on its own. Whew buddy this is hot. I was happy to see how well it performed and I didn't have any staining issues either. I did note that the polish was a little thicker than normal, but just take care to wipe your brush and use thin coats to make sure your polish dries evenly. Again, I'm quite impressed and wished I had picked up a few more! 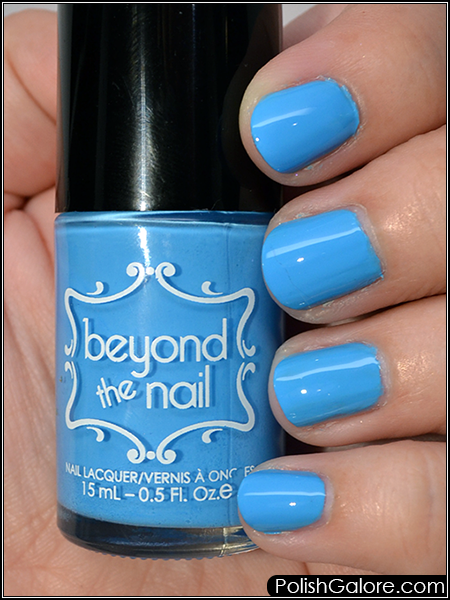 Beyond the Nail is available on their website. Join the social conversation on Facebook and Instagram.